Gone are the days when people say, " We are going to Mahabs to visit the Shore Temple" now it has come down to " Mahabs man, Moonrakers buddy! Sea Food! After a long gap, I was at Blue Elephant a sister concern of Moonrakers for a delicious soul filling, protein rich diet. Order comprised of our usual favorites, Golden Fried Calamari , Chili Chicken, Prawns in Tawa Masala and a Medium sized Fish in Tawa Masala. To go with these dishes a couple of Parottas were ordered. First to arrive was the Golden Fried Calamari, which was served with lemon sauce. My taste was, avoid the lemon sauce. Have it with tomato ketchup. 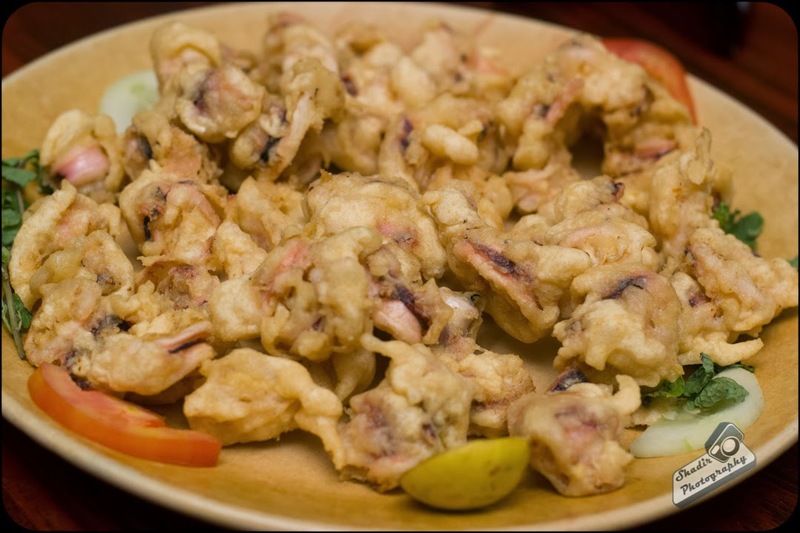 The Calamari is always fresh and has never disappointed me. The crunchy outer texture to the squishy interior is a nice contrast. Chili Chicken was the next to arrive for my brother who is allergic to Calamari. I just sampled a piece, it was nice and spicy with a hint of tawa flavors. Next came the Tawa Prawns, Wow!!!!!! The best prawns one could have. 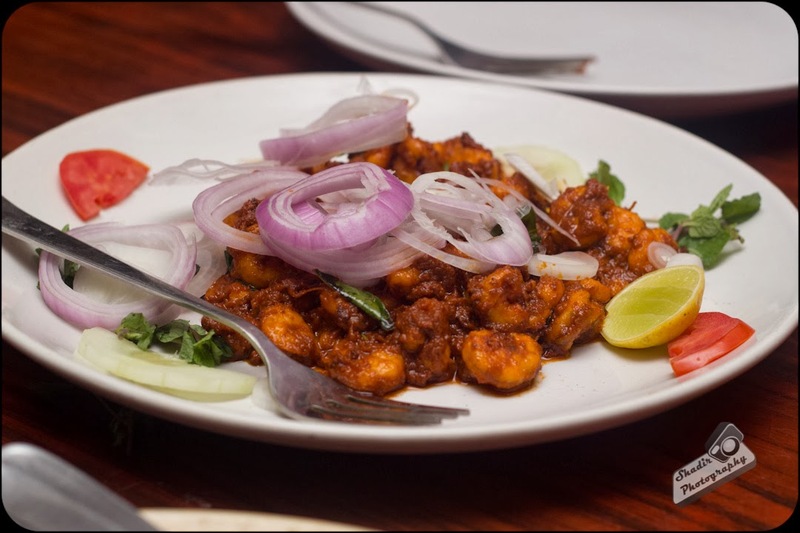 This dish is best with smaller size prawns as the masala infuses better into the dish and also you get more pieces. A combo of this with the Parotta is deadly. Finally the Star item the fresh Fish in Tawa Masala, The Fish had a crispy outer texture with a soft and fresh inner portion. Nothing beats this fish. 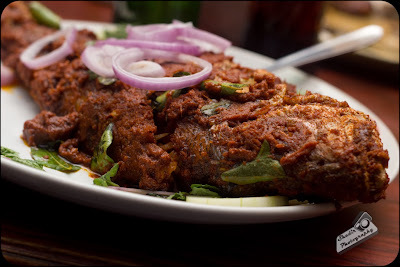 If you are an ardent fish lover, this is the place to have fresh fish. 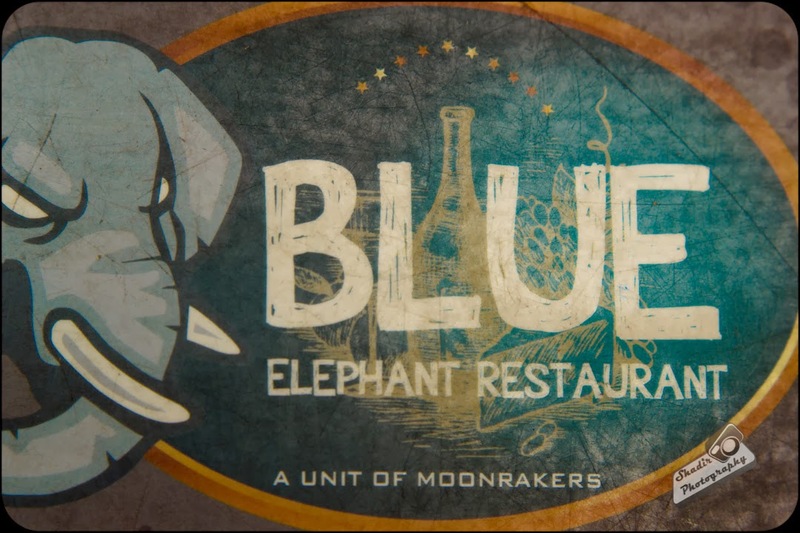 Since my 1 year old niece had come along and loves to keep running around, we chose Blue Elephant over Moonrakers. Its a wise decision for families with kids. The restaurant is air-conditioned, which wins brownie points during hot summers. The people who serve you are not trained professionally in the art of serving, but they definitely go out of the way to help you out. The price for this meal was Rs2300/- which was for 4 people. If you do go as a large crowd do not hesitate to bargain on the price. 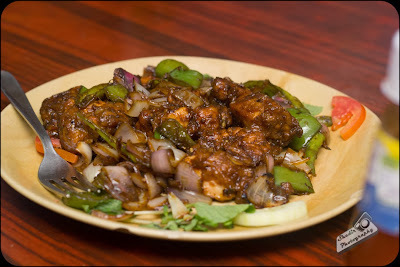 Blue Elephant is located in Otha Vada Street, Bang opposite to Moonrakers in Mahabalipuram.